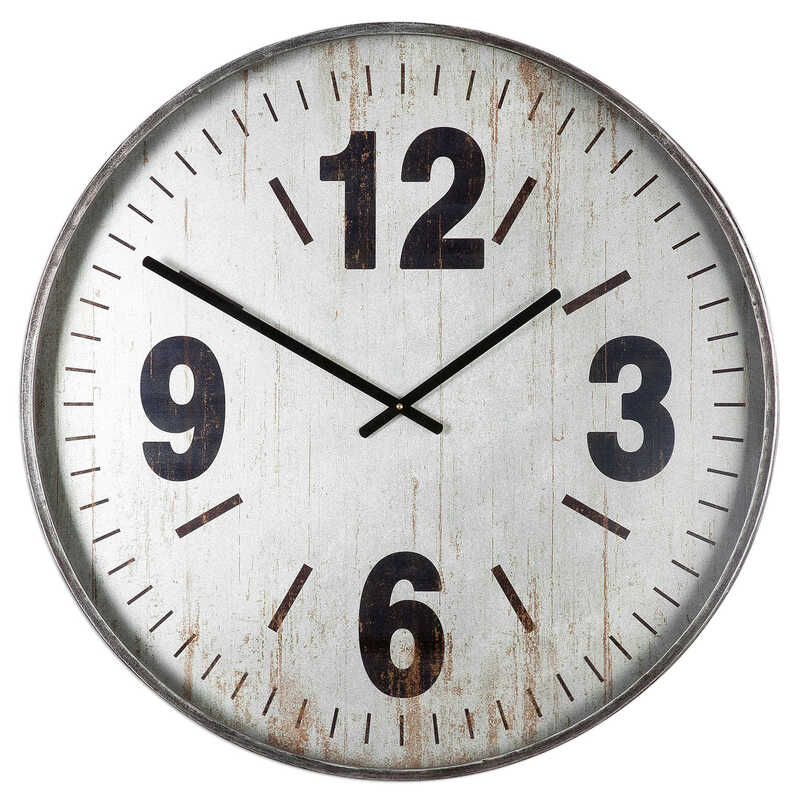 This oversized clock features bold, easy to read numbers. 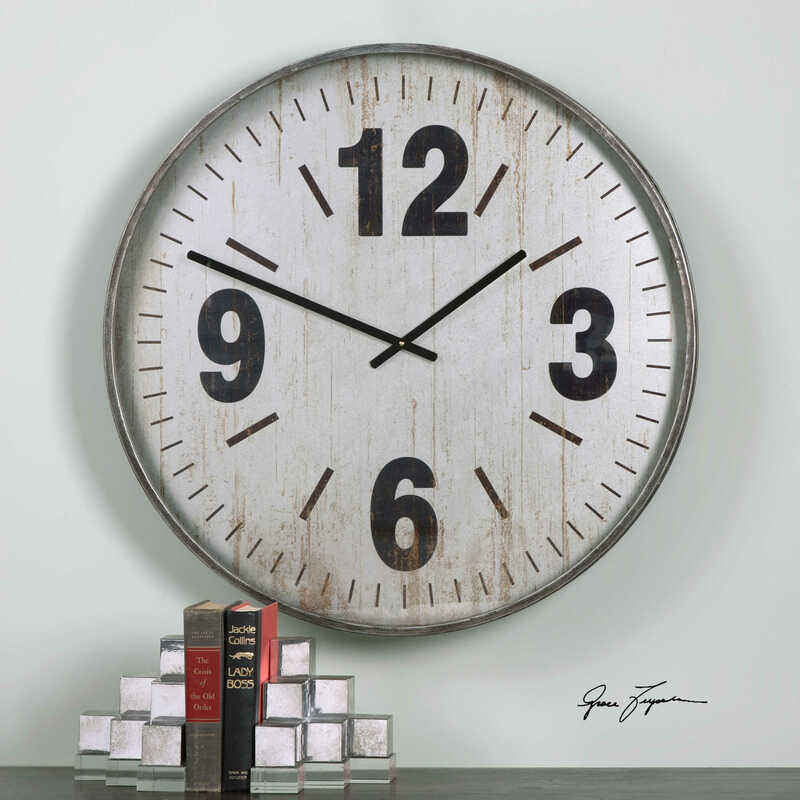 The narrow metal frame has a brushed silver finish with black antiquing. Quartz movement ensures accurate timekeeping. Requires one "AA" battery.